The Ponytail Palm is distinctive for its bulb base and graceful fronds. This Palm is easy to care for and will grow to the size of the pot it is in (no worries that it will get too big). Enjoy this potted Ponytail Palm on a desk, table or stand. 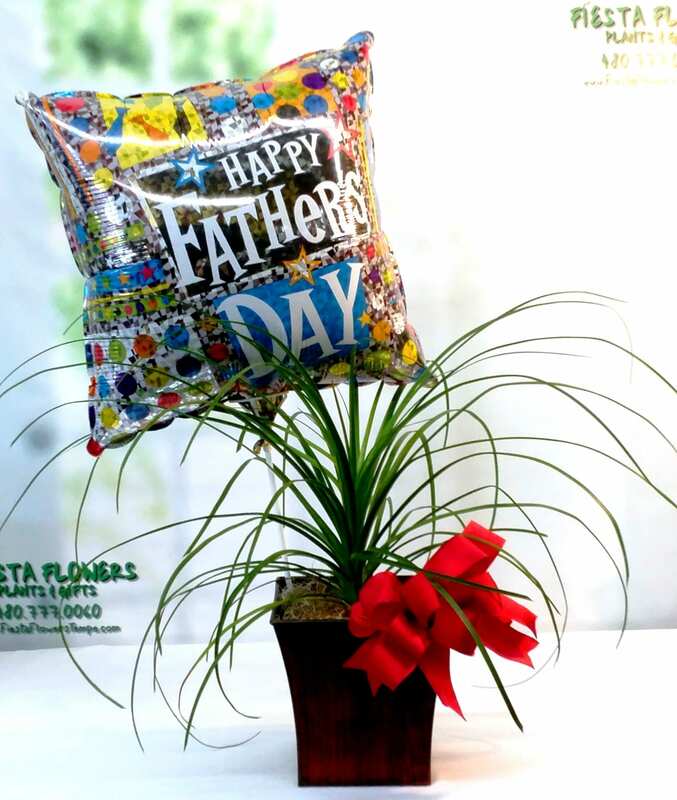 We have included a Happy Father’s Day Mylar Balloon for the perfect Father’s Day gift.